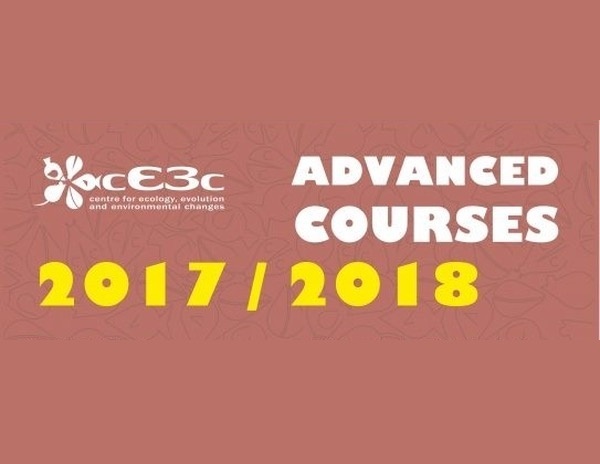 Cursos Avançados cE3c 2017/ 2018: dois últimos cursos a aceitar candidaturas! Termina em breve o prazo para submissão de candidaturas para os dois últimos Cursos Avançados cE3c agendados para este ano letivo 2017/2018.Inscreve-te já, as vagas são limitadas! 25- 29 junho, 2018: Measuring Biodiversity: How to get data, assess its quality and measure different aspects of diversity (Joaquín Hortal). Data limite de candidaturas: 1 de junho 2018. 11- 13 julho, 2018: Introduction to Big Data - knowledge extraction from biological databases (Teresa Nogueira). 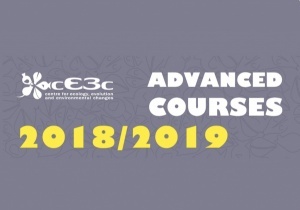 Data limite de candidaturas: 8 de junho 2018.
cE3c Advanced Courses 2017/2018: last two courses accepting applications! The deadline for submitting applications to the last two cE3c Advanced Courses scheduled for this academic year 2017/2018 is shortly due. Apply now, vacancies are limited! 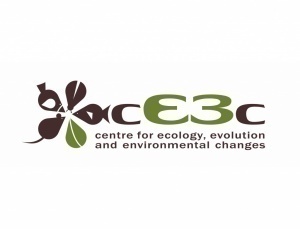 June 25-29, 2018: Measuring Biodiversity: How to get data, assess its quality and measure different aspects of diversity (Joaquín Hortal). Deadline for applications: June 1, 2018. July 11-13, 2018: Introduction to Big Data - knowledge extraction from biological databases (Teresa Nogueira). Deadline for applications: June 8, 2018. More details on these courses (including programs, fees and procedures for application) can be found here.